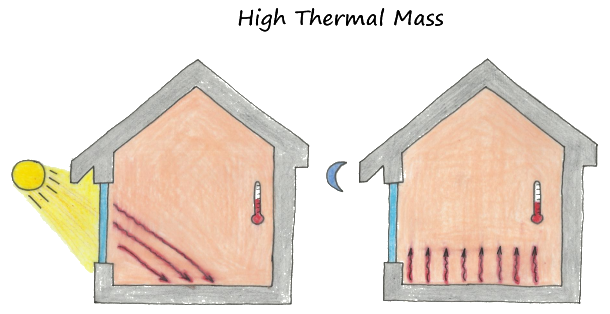 Thermal Mass is a property that enables building materials to absorb, store, and later release significant amounts of heat. 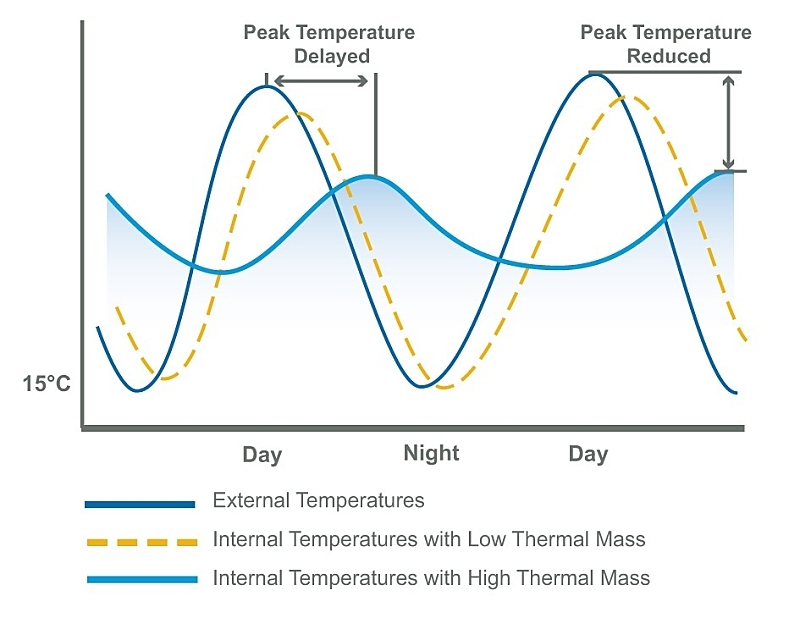 This is very important in a passive house in terms of heat control from solar gain as it moderates temperature fluctuations. 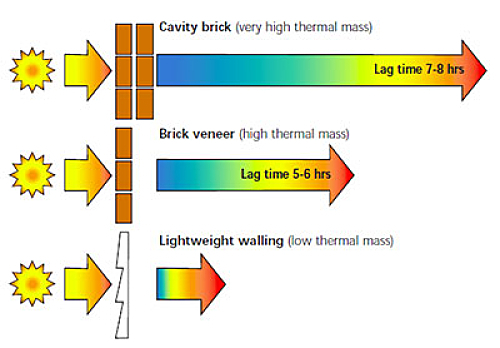 The sketch below shows the effect of high thermal mass on a building. 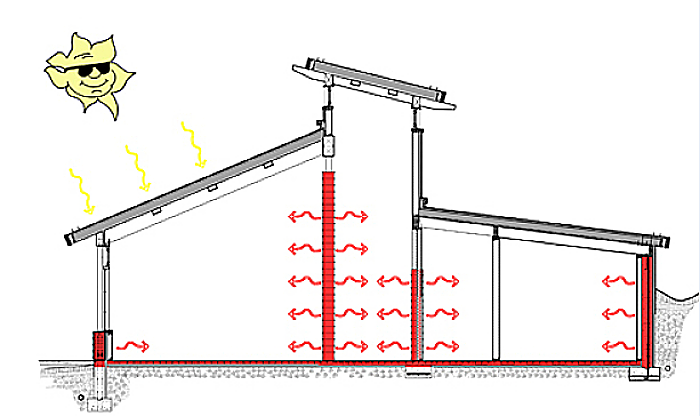 The building material has a high thermal mass so the building heats absorbs the heat, stores it and can release it steadily over a period of time. 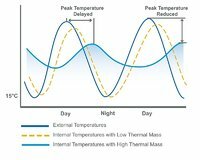 This ensures that there is minimum temperature fluctuation and the heat remains at a steady temperature throughout the day and night. 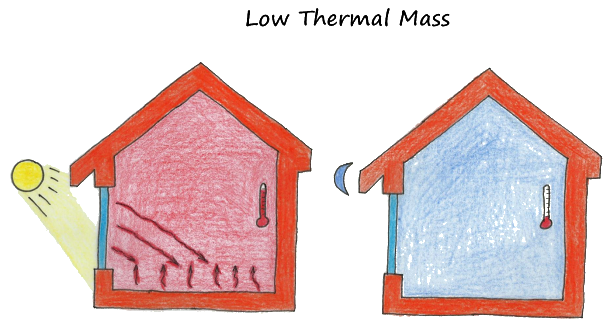 The sketch below shows the effect of low thermal mass on a building. 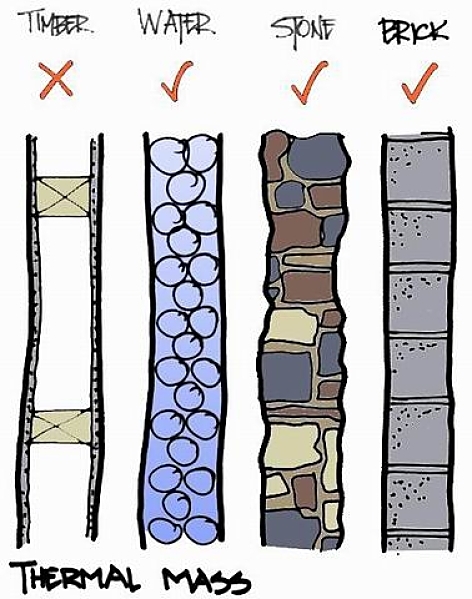 The building material has a low thermal mass so the building heats up quickly; however this heat is not absorbed, so the temperature rises and fluctuates greatly as the building loses its heat. 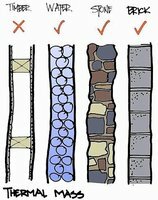 With regards building materials, concrete is one which is high in thermal mass. 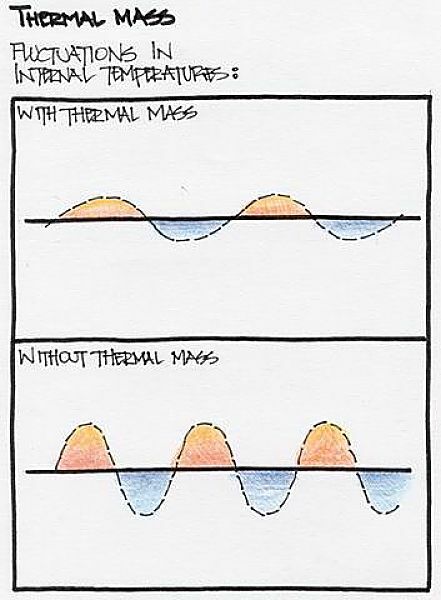 This allows it to absorb heat and release it slowly throughout the day. 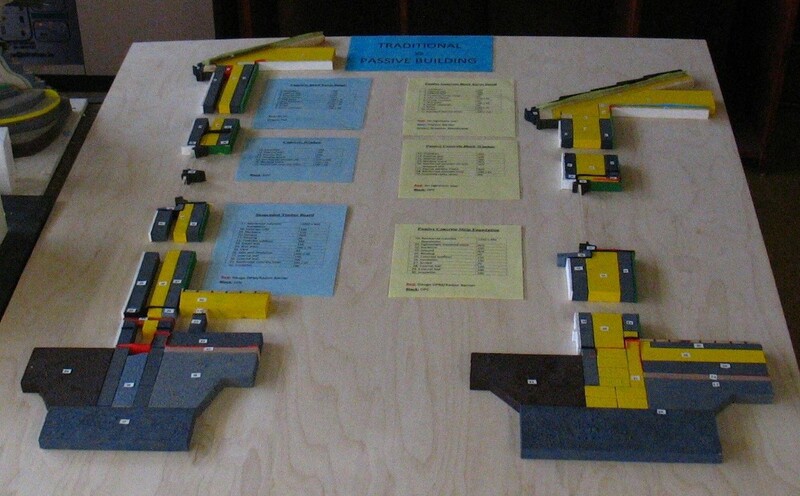 In comparison timber and insulation and materials which are low in thermal mass.